Vienna, 10.12.2016 (FOREF) – The following is based on a presentation by Dr. Aaron Rhodes at the Seminar, “Challenges and Opportunities of Our Time,” held in the Parliament of the Czech Republic on 25 November 2016, under the sponsorship of MP Nina Nováková. Two things are striking about this sad and beautiful statement. First, we could say many of the same things about the societies we live in today, including those that escaped spiritually destructive control by communist authorities. The second is that Havel, although nominally a secular person, was really speaking about religious values. But all people, regardless of their formal religious affiliations, have beliefs about ultimate things; perhaps the whole concept of the secular, a word originally referring to control of land, not the condition of the soul, is an illusion. In fact, “secularization,” often hailed by sociologists as an inevitable, one-way process, is nothing of the sort. We are concerned here with the freedom of religion. I consider the freedom of religion a priority for human rights protection because it refers to our capacity, and our ability, to form a basic moral orientation. The Bill of Rights to the United States Constitution was a prototype for many national and international lists of human rights. It lists essential, inherent freedoms, as well as rights that America’s Founders considered necessary to restraining government and preventing tyranny. The latter are civil rights that can exist only under civil government, that is, acquired rights as opposed to inherent rights. The First Amendment described the core of American freedom, freedom the Founders thought should be enjoyed by people everywhere, and the freedom of religion was in first place. Religion, according to James Madison, the chief author of the Bill of Rights, had to be “immune” from civil authorities; citizens were in the first place “subjects of the Great Governor of the Universe,” before they entered civil society. In fact, this is a principle of Mosaic law, that since all people are subjects of one transcendent God, no human king can truly rule over us, and that as subjects ultimately accountable to God, we are all equal, and owe to each other, the respect due an equal. I have this on good authority: I read it in my son’s Jewish education textbook. The American Founders framed human rights in terms of Natural Law, law that stands above the laws of governments and legislatures, and that needs to keep such laws, or “positive law,” from violating human nature. Natural law is by definition eternal, while the laws of societies evolve over time. There appears to have been little separation between the belief in Natural Law, and the belief in the Divine for the American Founders. When they spoke of freedom of religion they meant the freedom to know and orient one’s life in the framework of Natural Law, God’s law, or the Law of Nature’s God. No government could have authority over one’s relationship with God, that is, over one’s freedom to define and find and live by principles we embrace through faith, reason and education. It is an echo, or a reflection, of the First Commandment in the Decalogue, which proclaims the sovereignty of one God, the commandment, considered the “Great Commandment” by Christ and in Christian theology, upon which the rest are formed and which give meaning and context to the rest. If we take seriously the principle that human rights are inherent, ours by virtue of our common nature, then the “right of the individual to know and act upon one’s rights and duties,” as stated in Principle VII of the Helsinki Final Act, is no different than the right to freedom of religion. The right to freedom of thought and conscience is the right to know and to understand the source of those rights. It is a priority human right. But one of the main problems with the international human rights system today is that according to the official dogma of the United Nations, all rights are equal. What is even worse, in my view, is that actual human rights are seen as equal to rights that are not human rights, not rights that can be understood by reference to our common human nature, not rights that are truly universal, but rights that reflect specific political values. In 1993, at the World Conference on Human Rights in Vienna, governments agreed that all human rights were equal, indivisible, and interdependent. A central motive in making this assertion was to lock in respect for economic and social rights alongside civil and political rights. Communism had just lost its political grip, but at the Vienna meeting, the communist and progressive approach to human rights won a posthumous victory. Now, no reasonable person would deny that some human rights are essential to the enjoyment of other human rights, consistent with my suggestion about the centrality of the freedom of religion. But it is not categorically true that all human rights are indivisible and interdependent. And all of what are now called human rights are self-evidently not equal. With the new emphasis on economic and social rights, human rights have proliferated, and lost definition. The jurisprudence surrounding the treaty on economic and social rights deals with such issues as the need for states to guarantee that all people have access to a variety of healthy and good tasting food; a UN human rights official criticized Canada because people living in the frigid northern regions had limited access to fresh vegetables; will they attack equatorial African states because it is difficult to keep ice cream there? Is “fast-food” a human rights violation, as was recently suggested by a UN official? Human rights has become a form of utopianism, with new human rights being announced to ensure that all live at the same level and with the same conditions; you survivors of the Soviet system know well how such planning works out. We have numerous suggestions for new human rights, one of the latest being a “human right to sanitation,” so now human rights lawyers will presumably concern themselves with regulating toilets at the global level. In the law of the European Union and in the European Social Charter, for example, to receive employment counseling is named as a human right. Can any rational person accept that the right to receive state-guaranteed employment counseling is equal to the right to be free from torture, or to the right to freedom of religion? No one forces anyone else to assent to the doctrine of the equality of human rights, but social pressure to do so is palpable. And in a sense, I am afraid we are not so far from the condition about which Havel lamented, the condition of saying things we know not to be true, and thus betraying our rational and moral instincts and partaking of an enveloping moral contamination. If there are no essential distinctions between the importance of different human rights, it means that the freedom of religion will be balanced against the expanding field of what are considered human rights, and that this basic freedom will be not be protected from being balanced against a wide range of other considerations. We cannot expect the European Court of Human Rights to defend the freedom of religion. In upholding the French government’s ban on wearing the burqa, the court balanced the right to manifest one’s religion against others things, things that are not even human rights, which the Court said were more important. According to the Court’s Registry, the judges “accepted that the barrier raised against others by a veil concealing the face in public could undermine the notion of ‘living together.”’ The full-face veil would “call into question the possibility of open interpersonal relationships,” which are “an indispensable element of community life within the society in question.” The Court thus accepted France’s claim that veils concealing the face “breached the right of others to live in a space of socialization which made living together easier.” The Court’s flimsy, psycho-babble rationale for denying a central human right sets a precedent for limiting anything that makes anyone else uncomfortable as being “anti-social,” and bodes ill for the preservation of basic liberties. In the United States, a country that exists mainly because of the longing for religious freedom, and that put religious freedom at the head of its list of constitutionally protected rights, the 2016 platform of the Democratic Party contains this clause: “We support a progressive vision of religious freedom that respects pluralism and rejects the misuse of religion to discriminate.” In other words, the most basic right is subordinated to a political “vision.” Government institutions must treat citizens equally, but in civil society, religious freedom means not being forced to participate in rituals that violate one’s religious commitments. When the freedom of religion is seen as just another abstract right, not something upon which the full formation of our moral personalities depends, then freedom of religion can be seen as no more important than the services of particular wedding photographers or bakers for gay weddings. I believe in the right to marriage for gay citizens, but it should not be allowed to interfere with the freedom of religion. In a truly tolerant society, there is no reason why it should. We must not fail to make priorities and make moral distinctions. There is an urgent need to refresh our respect for the freedom of religion, and to resist the current trend to consider the freedom of religion a right that can be balanced against other concerns, and relegated to an obscure corner in the international human rights system. Dr. Aaron Rhodes is the President of the Forum for Religious Freedom – Europe. 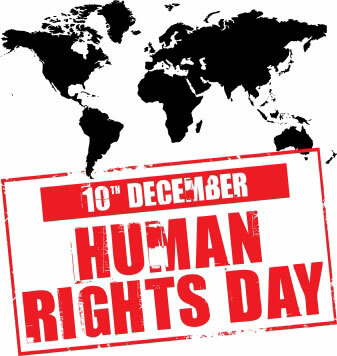 This entry was posted in Aaron Rhodes, Commentaries and Interviews, Human Rights, Religious Freedom and tagged Human Rights Day, Religious Freedom. Bookmark the permalink.